Obituary for Charles S. Siulborski | John Syka Funeral Home, Inc.
Charles S. Siulborski, 76, of Sewickley, passed away peacefully on Tuesday, April 3, 2018, in St. Clair Hospital with his loving family by his side. Charles was born March 20, 1942, in Sewickley, Pa., to the late Stanley and Helen Syka Siulborski. He was a graduate of Quaker Valley High School and graduated from Youngstown State University in 1965 with his Bachelor of Science Degree in Education. He received his Master's Degree in Education from Duquesne University in 1968. Chuck then taught in the Quaker Valley School District retiring with 35 years of service. He was the basketball scorekeeper for many years. 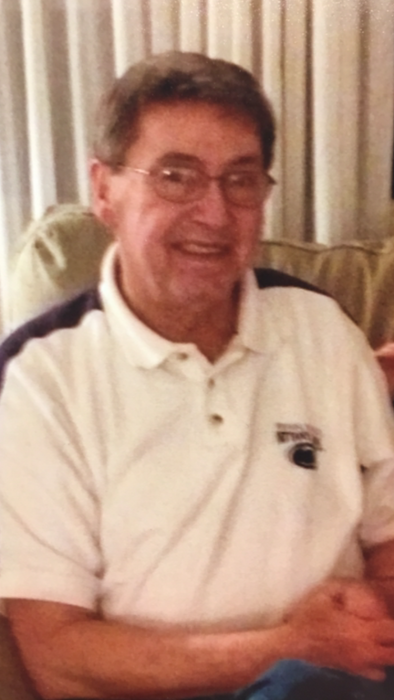 He was a member of St. James Catholic Church, Sewickley, Seven Oaks Country Club and the F.O.E., Ambridge, and was an avid golfer. Surviving are his loving wife of 47 years, Peggy Weisz Siulborski; a son and daughter-in-law, Jeff and Meghann Siulborski, Sewickley; a daughter and son-in-law, Julie and Larry Adams, South Heights; three grandchildren, Shelby Parker and Jacob and Zachary Siulborski; a great-granddaughter, Kayla Parker; a brother and sister-in-law, Donald and Gloria Siulborski, Wexford, and niece, Gina Bianchin. Friends will be received Thursday from 2 to 8 p.m. in the JOHN SYKA FUNERAL HOME INC., 833 Kennedy Drive, Ambridge, where prayers will be offered Friday at noon followed by a mass of Christian burial at 12:30 p.m. in St. James Catholic Church with his pastor, the Rev. Thomas Burke, officiating. Interment will follow in Sewickley Cemetery. In lieu of flowers, memorial contributions are suggested to the Alzheimer's Association, 1100 Liberty Avenue, Suite E-201, Pittsburgh, PA 15222. The Ambridge Eagles will conduct a service on Thursday at 7:00 p.m. in the funeral home.